The first thing we encounter in Eden is a man. The image depicts him engulfed by a sea of bougainvillea with bright green leaves and magenta flowers growing so enthusiastically that we see only his face, especially his sky blue eyes. He is alone. 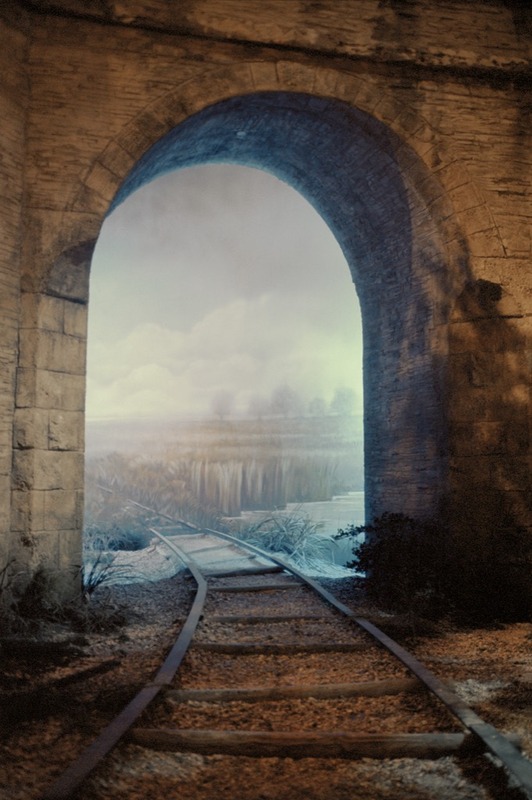 In the following image, a railway leads into a painted background, the kind used in films or theater.